His death was revealed by his widow Sheila via the official website of the late Thunderbirds creator Gerry Anderson. Rimmer died in the early hours of Friday, the announcement said. The message said Rimmer’s “amazing life and career” will be celebrated on the Gerry Anderson Podcast on Monday. The Canadian actor and voice actor, who moved to the UK in the 1950s, was best known for providing the voice of Thunderbird 1 pilot Scott Tracy in the British sci-fi series, which first aired in the UK in 1965 until 1966. Rimmer was largely a supporting actor throughout his career, with roles in films including Dr Strangelove, Rollerball, Gandhi and Batman Begins. He also appeared in three James Bond films. 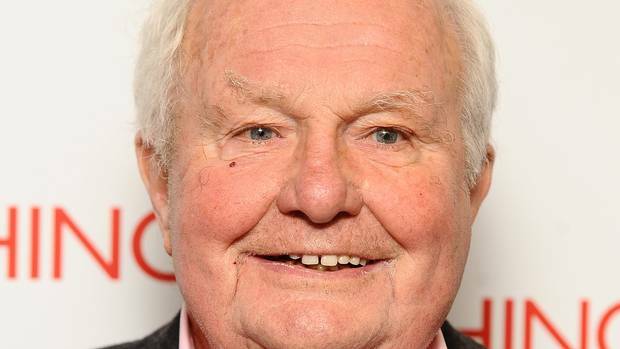 The official Twitter account for the film franchise said: “We are very sad to hear that Shane Rimmer has passed away at the age of 89. On the small screen, Rimmer also appeared in an episode of Doctor Who in the 1960s and twice in Coronation Street between 1968 and 1970. According to IMDB, Rimmer’s final role was in the TV movie Firestorm, which is currently in post-production.